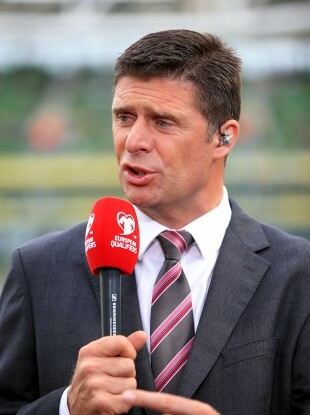 Niall Quinn talks to The42 about the increasing challenges facing aspiring professional footballers. Former Ireland international Niall Quinn believes young Irish footballers need to be wiser in their choices. Evidently, Quinn was somewhat of a slow burner when it came to developing as a footballer. He had by far the best goalscoring run of his career between the ages of 31 and 34 at Sunderland, becoming a firm fan favourite on Wearside in the process. Yet you wonder if a player such as Quinn could be as successful nowadays — would English clubs have the patience to persevere with the big striker at present, or would they promptly replace him with an expensive foreign import the moment the goals dried up? In recent times, The42 have spoken to several relevant figures, including Ireland underage coach Tom Mohan and Bray U19s boss Maciej Tarnogrodzki, about the increased challenges facing young Irish footballers, and everyone seems to agree that the system is problematic at best. “I don’t think we’re going wrong,” he tells The42. “I just think that, to get into a Premier League team in my day, you had to be better than English, Scottish and Welsh lads. Now, you have to be better than the Europeans, the Far East players… It’s incredible. It’s truly an international league. We have some very good players — Seamus Coleman being the standout one. “Wes Hoolahan has done well. It took a long time for him to come into Premier League life and play in it as he has — it’s a pity it didn’t happen for him (earlier). If it was many years ago, we might have seen him go to an even bigger club than Norwich. “(James) McCarthy is a very good Premier League player who could kick on. So it’s not all doom and gloom. “The problem is we don’t have two or three fighting for their place like we would have had many years ago. Yet while Quinn feels the decline of Irish football in recent years has been exaggerated, the former striker — who scored 21 goals in 92 appearances for the Boys in Green — acknowledges that there are serious problems with the manner in which young Irish footballers are currently being handled. The situation is not unique to Ireland, of course. English football fans and critics often complain that their young players’ opportunities have become increasingly limited in the modern Premier League era. However, even the similarly flawed English system manages to produce the odd Harry Kane, Saido Berahino or Raheem Sterling. By contrast, there is currently not one Irish player under the age of 23 getting regular Premier League football, which seemingly emphasises the increasing marginalisation of Irish players from the top level of the game. But Quinn argues that, instead of trying to make it at the top clubs, young Irish players are often better off preparing for the possibility of disappointment and starting off at a lower level of the game. “In the overall context, there’s a couple of things I strongly believe in,” he says. “There has to be a viable alternative to young footballers heading off to England before their education is complete. We’re losing too many young talented players who look really good at 14, 15 and 16. It’s too easy for them to go through the British system and get all washed up. As a former chairman of Sunderland, Quinn understands the intricacies of the system and the pressure that young players are being put under by agents, among others. Nevertheless, the Sky pundit feels clubs should not be blamed for the status quo, and instead, suggests the youngsters themselves, along with their parents, need to be made more aware of the many potential perils of moving to a big English club at a young age. “We have had some astonishing figures thrown at us lately. Only three percent of young Irish players who go over get a second contract. These are the things that the parents need to know when their kids are being targeted by clubs. I did it myself — it’s the system. I’m not giving out about the clubs. I’m giving out about the way we’ve allowed ourselves to be easily bought. We’re easy prey and we’re easy, therefore, to get rid of. Email “‘We’re losing too many talented young Irish players to the British system’ ”. Feedback on “‘We’re losing too many talented young Irish players to the British system’ ”.